People often misunderstand how the court systems works. I hear that people want to file a lawsuit, say for instance to get off the MATCH list, in order to set a “precedent” that other courts will have to follow that precedent. However, the court system does not work that way as will be explained below. To continue our MATCH list example, assume a merchant decides it feels it was wrongly placed on the MATCH list and is going to sue to get off it. Being put on the MATCH list can put a company out of business by taking away, in many instances, its right to process credit cards. So the merchant assumes it can file suit and if it wins, other courts will have to follow the ruling. However that is not the way the court system works. Generally, courts in this country are organized in three levels generally. This applies to both state and federal courts. The names of the courts may vary but the general concepts described in this article apply to almost all courts in this country. At the bottom level are the trial courts. They are the courts most people are familiar with. When you file a lawsuit, the case is assigned to a trial court. 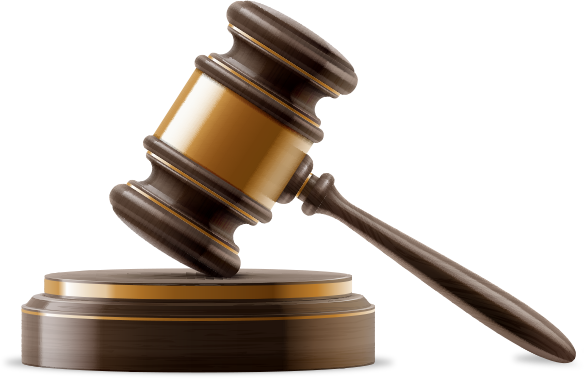 The trial court administers the case during the pendency of the litigation and if it gets to that point, will preside over the trial of the case. The next tier above the trial court is the court of appeal or appellate court. The appellate court does not allow people to file new lawsuits with the court. Instead the court of appeal hears cases that have been decided by a trial court where one or both parties think the trial court decision is wrong in light of the law. So an appeal is filed and the court of appeal, usually a 3 judge panel, re-examines the case. The court of appeal has the right to overturn part or all of a trial court decision. Also, all parties have the right to appeal a trial court decision and the court of appeal must hear their case. The final level of courts is the Supreme Court. The Supreme Court hears appeals from the court of appeal. There are no other courts above the Supreme Court so whatever decisions it makes are final. Also, the Supreme Court picks and chooses the cases it wants to hear. There is no right to appeal the decision of a court of appeal. So back to our example, the merchant if it wanted to sue to get off the MATCH list would have to start in the trial court. Assume that our merchant had a good case and was able to win at trial. A judgment in his favor, potentially outlining why he won, would be filed by the court. But how does that judgment affect other people that want to try to get off the MATCH list? Courts at the same level do not have to follow the decisions and logic of courts at their own level. So if one trial court was to rule in favor of a merchant essentially saying the MATCH list is unfair and the merchant should be removed, that decision would be of no use to any other merchants that wanted to get off the MATCH list. It might be persuasive to another trial court but another trial court is not bound by such a decision. However, trial courts do have to follow the laws and decisions of courts above them. So, if there was an appeal of a decision in a case about the MATCH list and the appeal court or Supreme Court made a ruling that said the MATCH list was unfair, then all trial courts below that Supreme Court or Court of Appeal would have to follow that decision. But that is where it gets even more complex because there are 50 different state court systems and also our federal court system. And none of them for the most part recognize the decision of other courts as binding, except for some limited rulings by federal courts that apply to all state courts. So for instance, if a California court of appeal ruled the MATCH list was not legal, it would only be a decision that had to be followed by California trial courts. In the other 49 states and the federal court, the ruling would be nothing more than persuasive authority. It would not be binding on any courts outside of California. So in the end, if you are trying to set a precedent it is very difficult to do so. First, you have to actually have a trial or other dispositive motion that concludes the case in your favor. And in my experience, the vast majority of cases settle well before they get to that point. Also, for cases that do go all the way to trial, very few of them are appealed which makes it again unlikely the merchant in our example would set a precedent at the level of the court of appeal. To compound that problem many court of appeal decisions are made in what is called an unpublished opinion. What that means is the court of appeal is saying that its ruling in the case cannot be used as a precedent in future cases. The ruling is only for use in the case that was appealed. So even if you do appeal and win, you may not set a precedent. And even if you do, then it will only be a precedent in the state court you got it in and not in any other state or the federal system. As you can see, because of the way the courts are organized it is very difficult to change anything in our industry on a broad basis. Everything is so fragmented and the cases so few and far between that the courts have little impact on the bankcard business, except for the odd class action but I’ll address those in later article. So, while you might think that your case will set “precedent”, as a practical matter it is unlikely to do so.